‘Tis the season to walk in a winter wonderland and go on a sleigh ride. For good reason, it’s one of the most awaited seasons of the whole year. To keep winter celebrations and holiday-related audiovisual projects joyful and warm, you need the perfect royalty-free music tracks. And while the Internet may be swimming with options, this tutorial helps you find the best ones at AudioJungle. First up, the royalty-free music track aptly titled ‘Christmas’ (inevitably the first of several). And just like Christmas, this tune has a magical essence to it that’s at the same time cheerful and emotional. 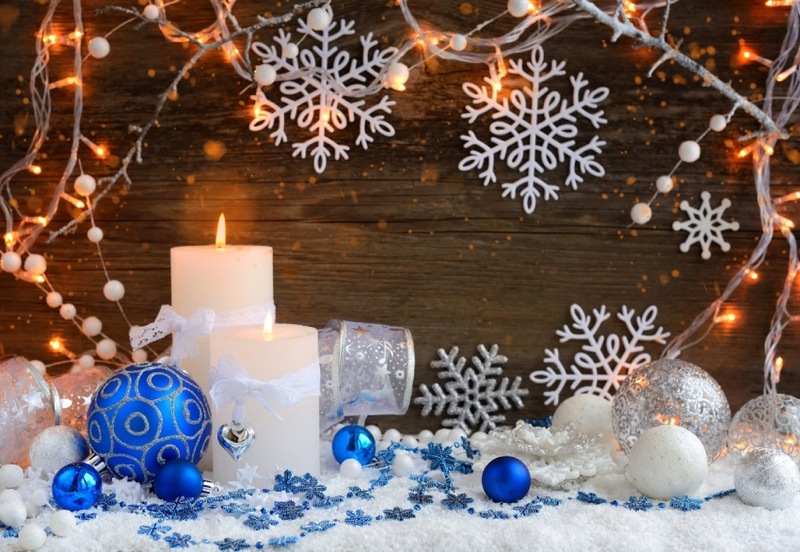 Let’s say you have a project where you want to display images of a merry and bright time. This song would go great with it, as its use of bells, oboes and strings make it a festive and cheery tune. Fireworks are festive. They light up the sky and illuminate the faces of their spectators with a childlike wonder. This track captures what fireworks sound like as they create a pyrotechnic display. The holiday season inspires people to come together and share beautiful moments. And so does this royalty-free music track has that inspirational and epic feel to it. This can fit in beautifully with an emotional scene. The end of the year is a time to party, too! To get your, and your audience’s, dancing feet on the floor,—use this track. ‘Epic Motivational Energetic Upbeat Rock’ gives that surge of energy. For a soft, joyful but very bright approach to holiday music, the ‘Opening Logo’ track. A versatile piece that for holiday projects, for a corporate video or another audiovisual project that requires bright bells in it. Those ultra fun, super upbeat and jazz-inspired Christmas songs are accurately represented in this royalty-free music track. Sleigh bells, trumpets and all of the Christmas staples can be found here. And because there can never be too many fireworks during the holiday season, this next track of ‘Fireworks in the Sky’ gives a few more options to include the sound of exploding pyrotechnics. Once again, Christmas makes an appearance in this list (and it won’t be the last one). This tune is the ultimate commercial holiday jingle. You can fit it nicely in any projects related to Christmas, New Year’s Eve or other celebration of the season. Deck the halls with boughs of holly! This is easily one of the most recognisable Christmas carols out there. Have the audience falalalala-ing along with this symphonic version of the holiday song par excellence. The holiday season is magic. With a tune reminiscent of Louis Armstrong’s ‘What a Wonderful World’, this song helps portray some of the softness, wonder and innocence of the winter celebrations. The holiday season, aside from being sweet and tender, is upbeat and up-lifting. To convey that in multimedia projects, use a royalty-free music track such as ‘Corporate Day’. Dreamy, uplifting and inspiring. Three words that describe the holiday season. Similarly, they describe what this song is about. With flutes, pianos, strings and other instruments, this music track will cheer up everyone. Sing-alongs are another staple of the holiday celebrations. This catchy melody with happy-go-lucky lyrics has the right amount of brightness and glee to get your audience clapping and tapping their feet to it. Picture waking up on a cold winter morning. Looking out of the window with a hot cup of chocolate and seeing snow falling outside. This Christmas song is the perfect background music to complement that scene. For a very traditional holiday royalty-free music track, try this Christmas song. Jingling bells accompany a very light and heartwarming tune for holiday cheer in a joyous way. The holiday season needs a sleigh ride. With this royalty-free music track, you’ll feel you’re riding along. You may even hear the horse’s hooves stepping on the snow as you’re being ridden around. Epic, grandiose, inspiring and merry as can be, this royalty-free music track is all the holiday season is meant to be. It has a powerful orchestra that is joined by a talented and emotional choir. For a much softer approach to the winter celebrations, this song called ‘Romantic Piano’. The combination of the piano with soft strings will inject a heart-warming feeling to your seasonal audiovisual projects. Lastly, the royalty-free music track ‘Falling Snow’. With it, the audience will be able to picture doing all of the traditional activities of the season: sitting by the fire, watching twinkling lights and spending joyful times with loved ones. The songs of the holiday season are the background music to some of the happiest and brightest moments in people’s memories. For holiday-related audiovisual projects with that heart-warming and cheerful feeling, check out the selection presented in this tutorial. If you don’t find exactly what you need, remember to search through AudioJungle‘s library for the perfect match.